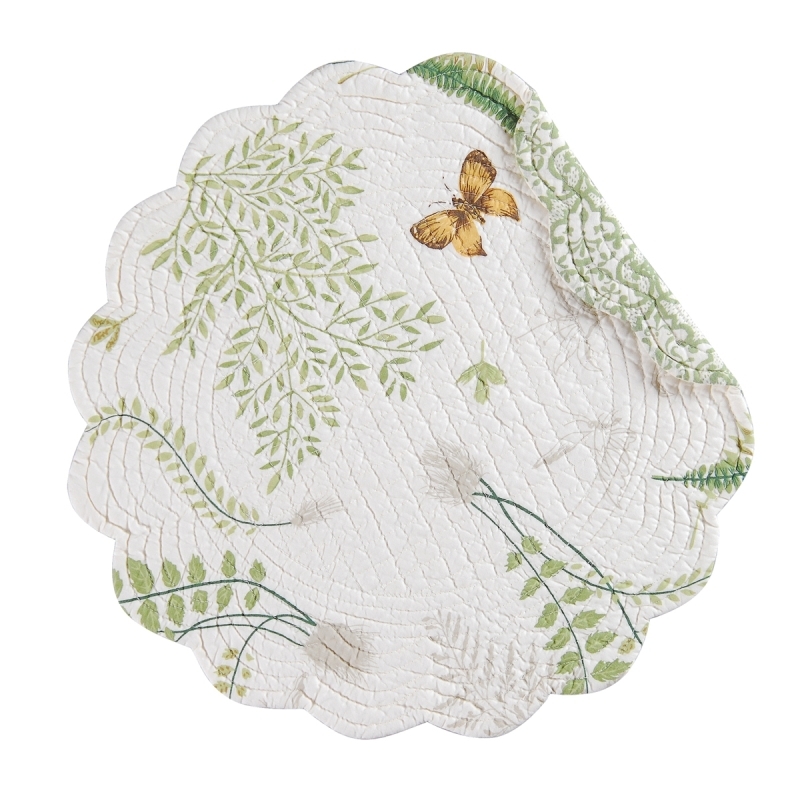 Make all of your dinner guests feel right at home when they sit at your dining room table by decorating your dining area with the selection of everyday table linens from Christmas Tree Hill. 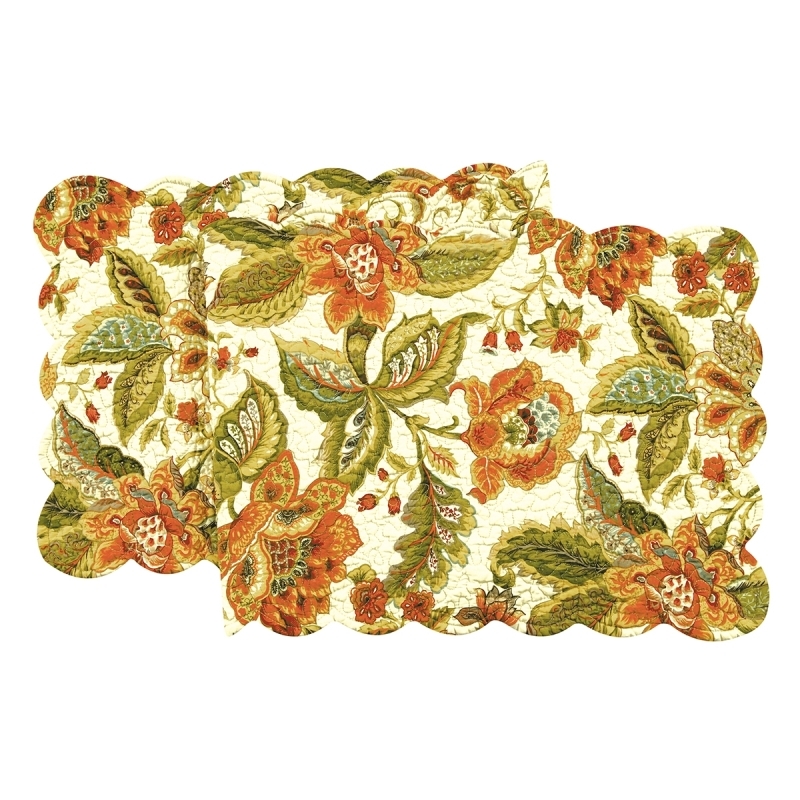 This collection of decorative table runners and placemats is designed to help you give your table a pop of color and personality that will make family and friends alike feel welcome in your home. 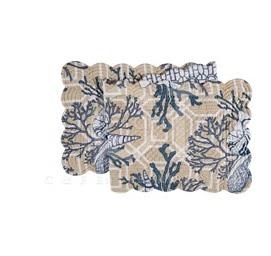 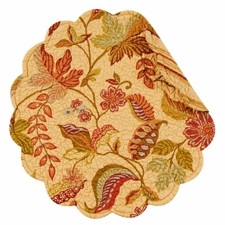 Choose from a variety of different fabric placemats and table runners that are available in several gorgeous prints. 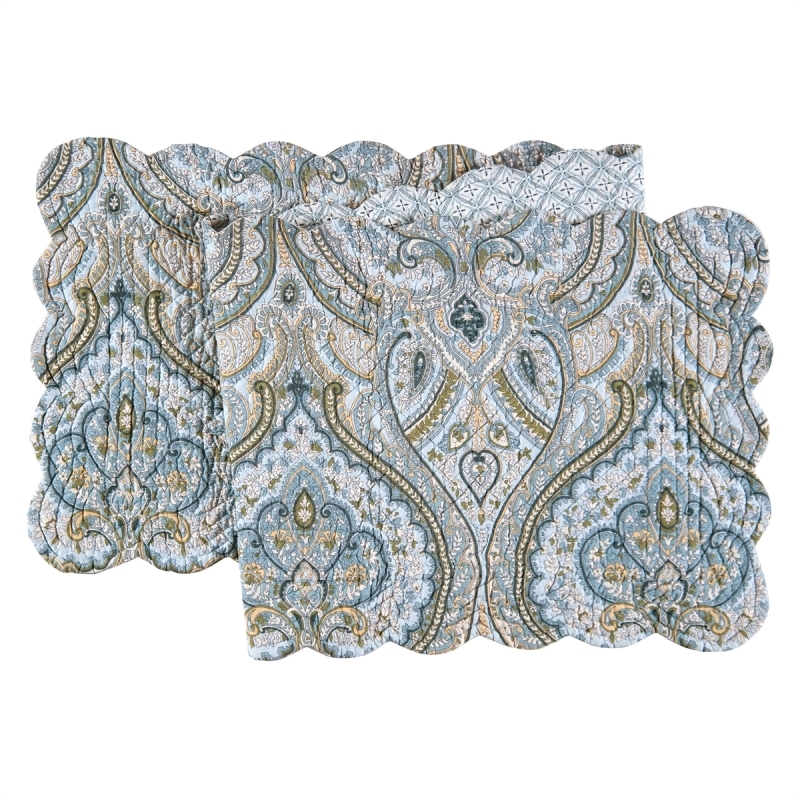 Opt for a matching set or mix multiple prints to create a charming mismatched look. 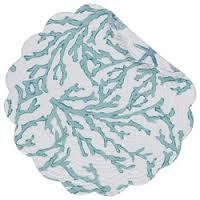 Many of these styles are also reversible so that changing your decor is as easy as flipping over your table linens. 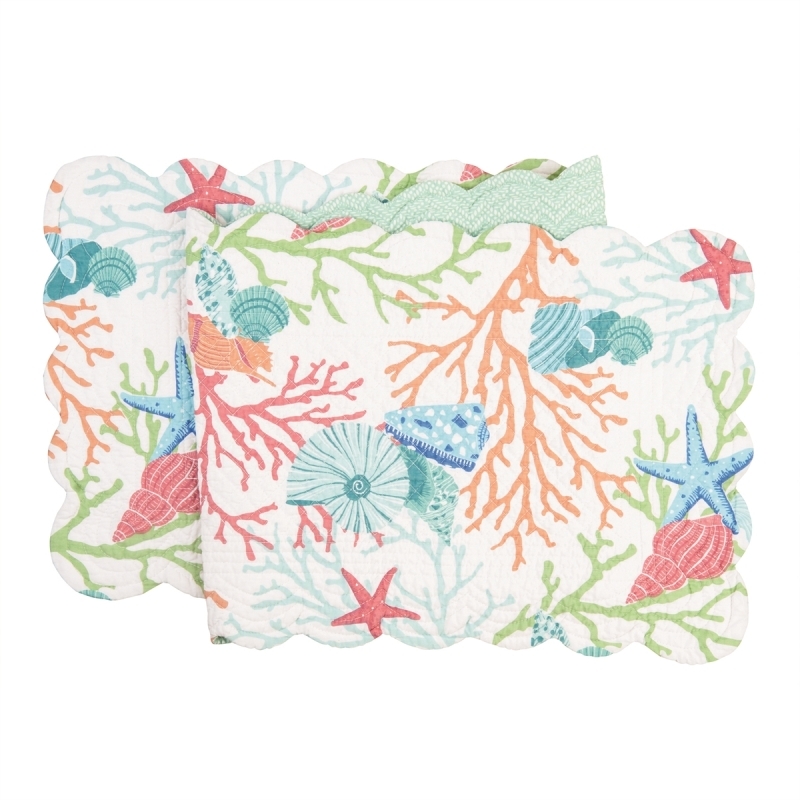 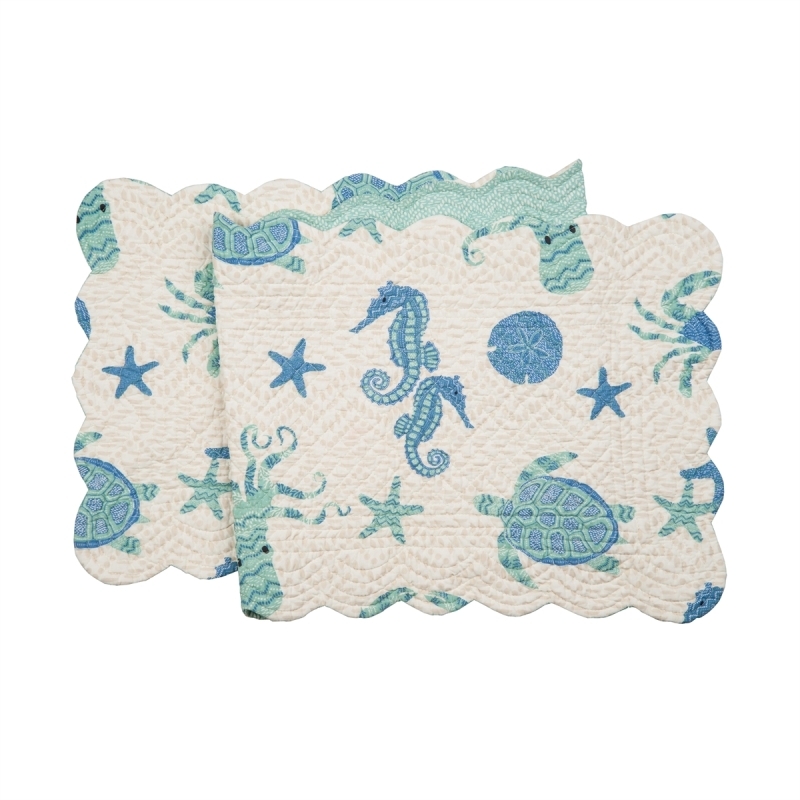 Pair these linens with chair pads, napkins and dish towels to complete your kitchen decor. 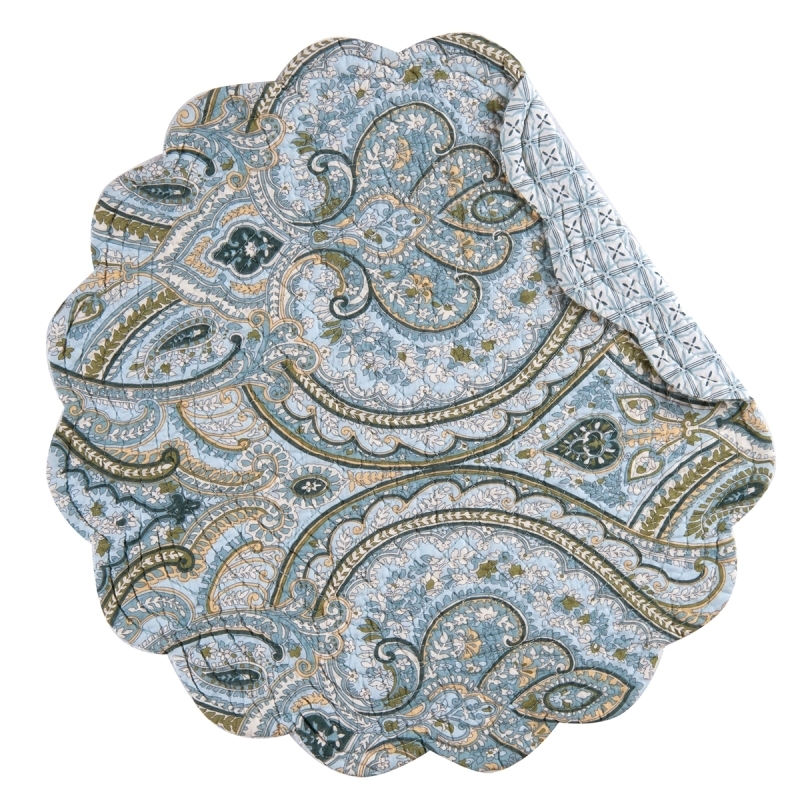 Placemat - "Indigo Sound Placemat"
Placemat - "Jesamine Sound Placemat"
Quilted Round Reversible Placemat - "Henley"
Placemat - "Amelia Blue Reversible Quilted Placemat"
Placemat - "Quilted Green Apple Placemat"
Placemat - "Kasbah Reversible Quilted Placemat"
Placemat - "Quilted Nottingham Placemat"
Placemat - "Amelia Reversible Quilted Placemat"
Quilted Round Placemat - "Providence"
Placemat - "Quilted Bark Placemat"
Placemat - "Quilted Cora Blue Placemat"
Placemat - "Jasleen Reversible Quilted Placemat"
Table Runner - "Henley Quilted Table Runner" - 14" x 51"
Table Runner - "Indigo Sound Reversible Quilted Table Runner" - 14" x 51"
Table Runner - "Annebelle Blue Reversible Quilted Table Runner" - 14" x 51"
Placemats add a special touch to any table setting. 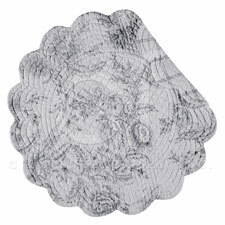 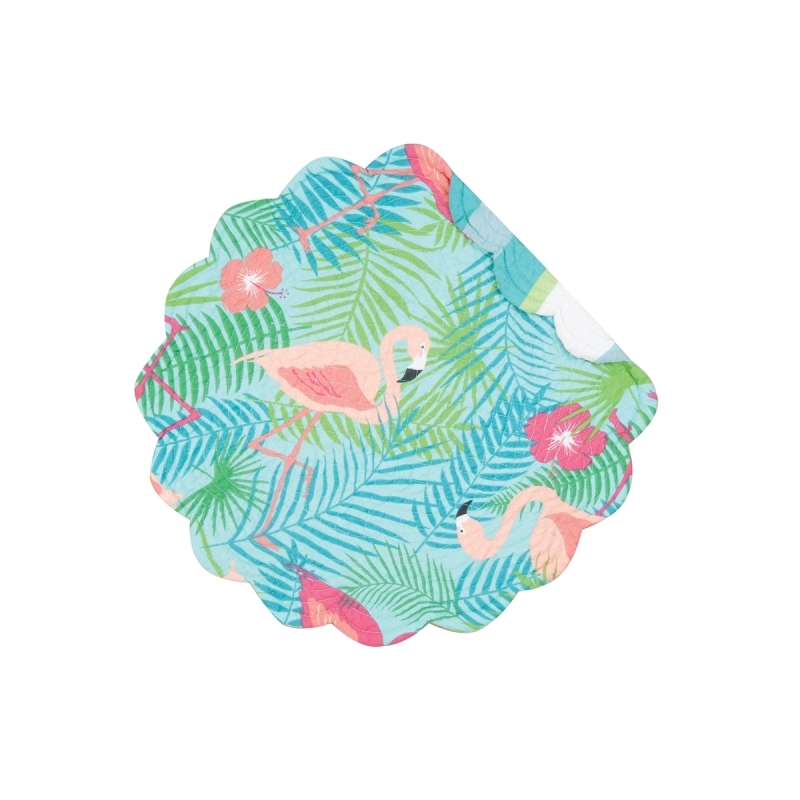 They provide a beautiful background to dishes and silverware while they help protect your table from inadvertent damage. 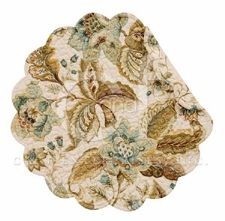 Our fabric placemats come in a variety of different shapes, sizes, prints and colors from which you can choose. 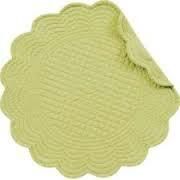 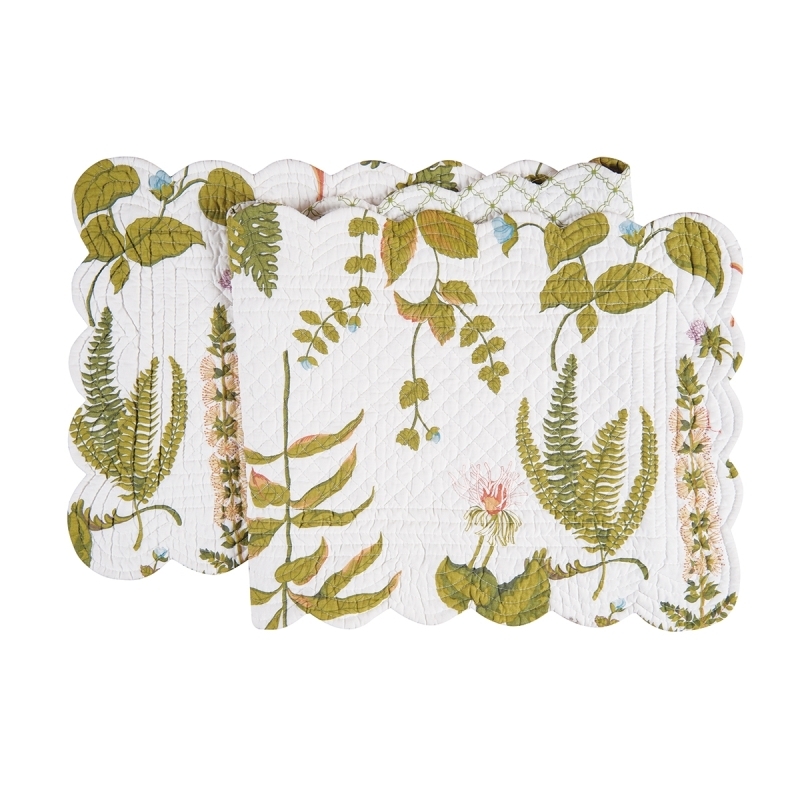 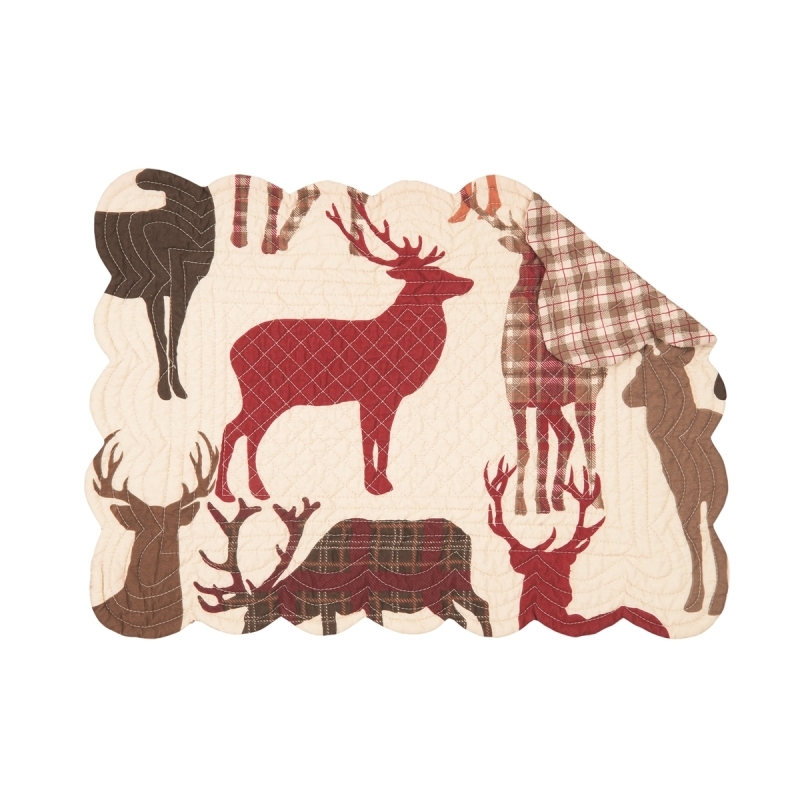 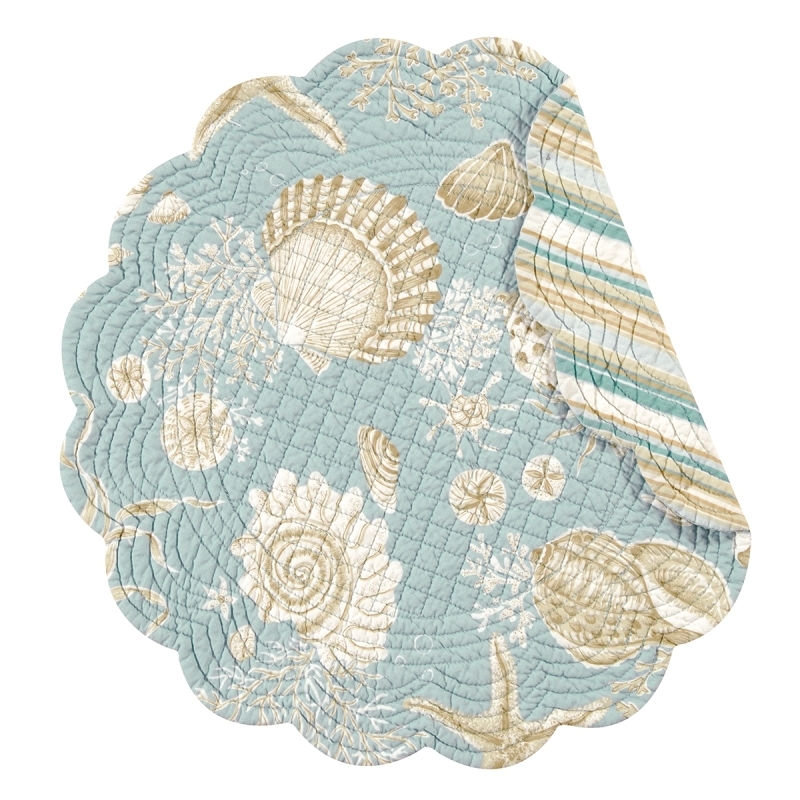 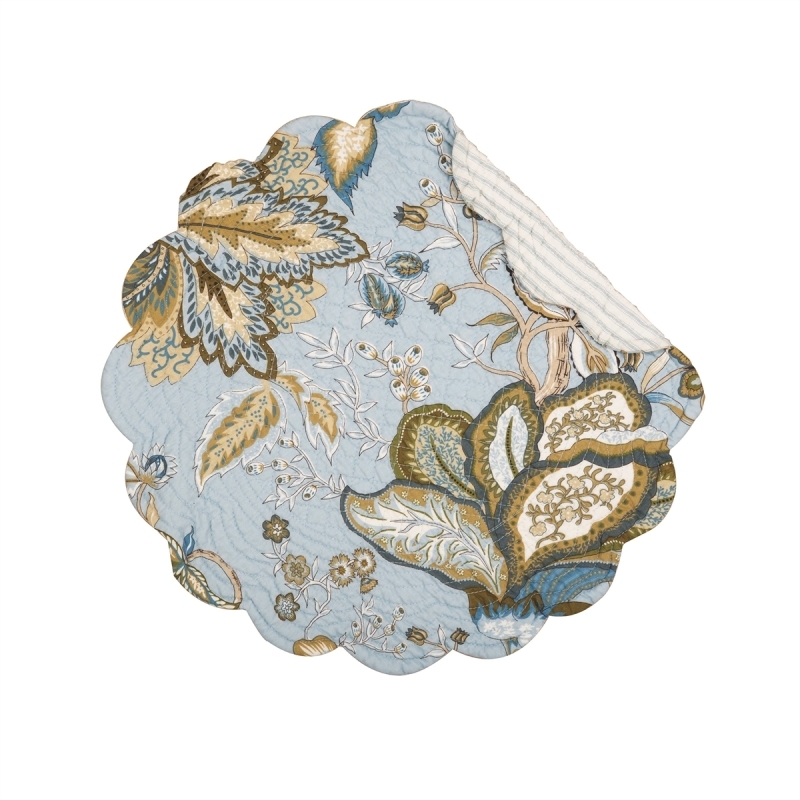 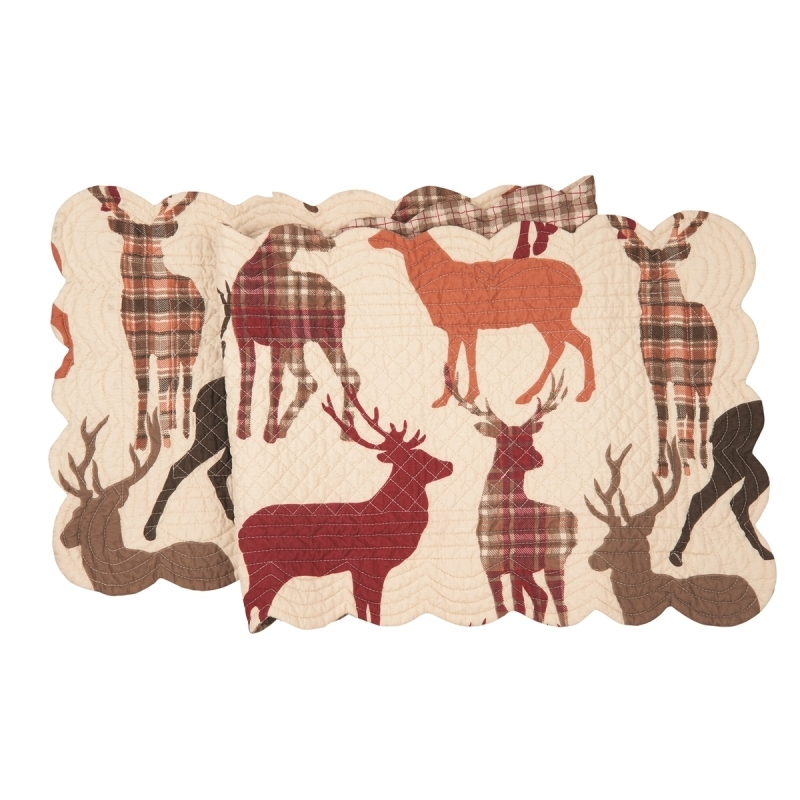 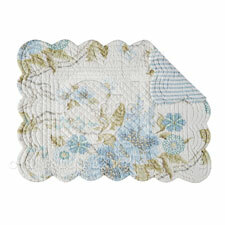 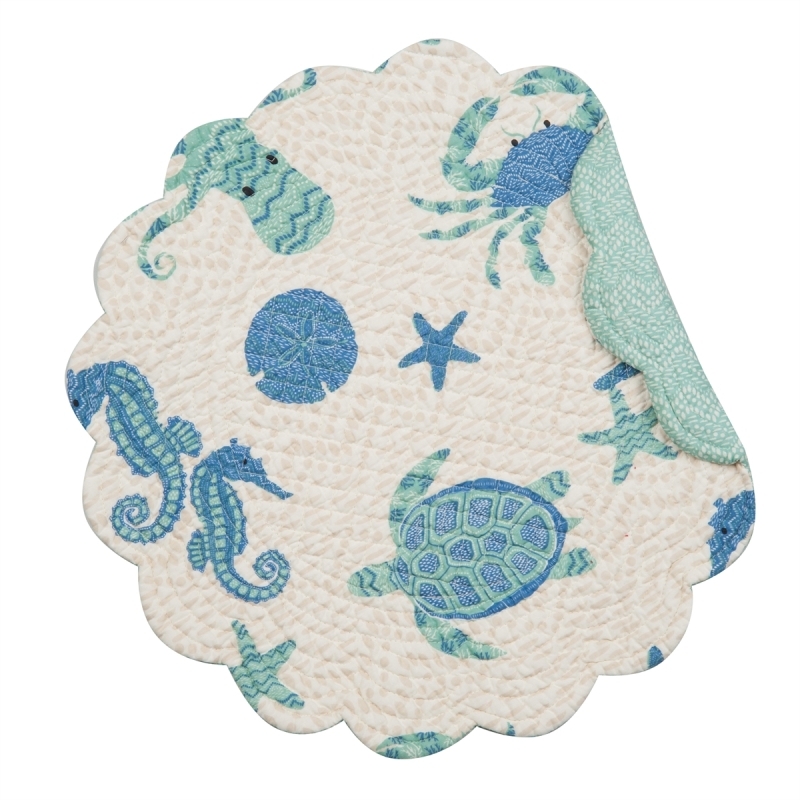 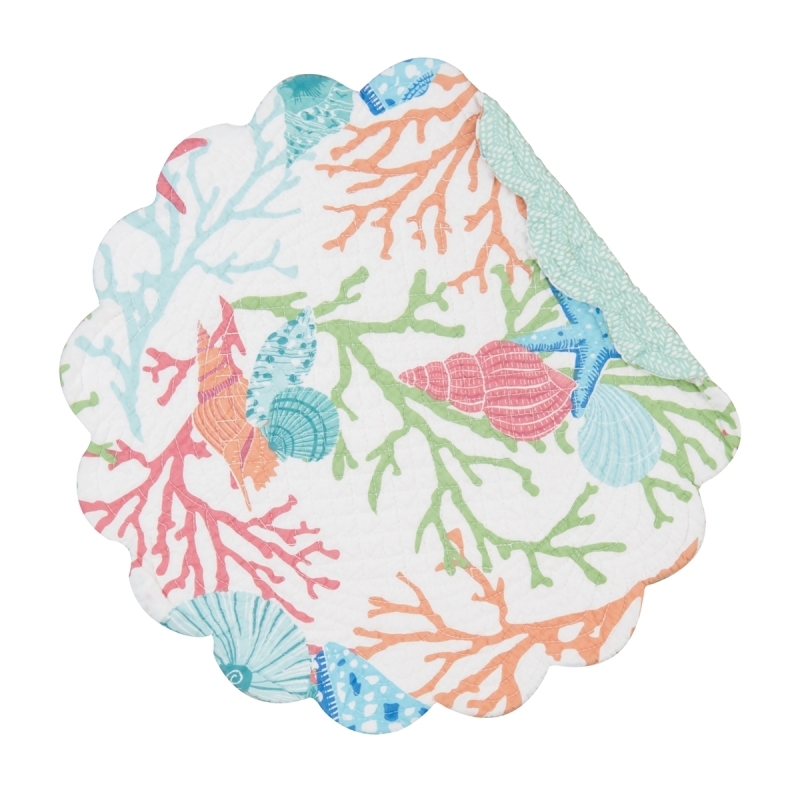 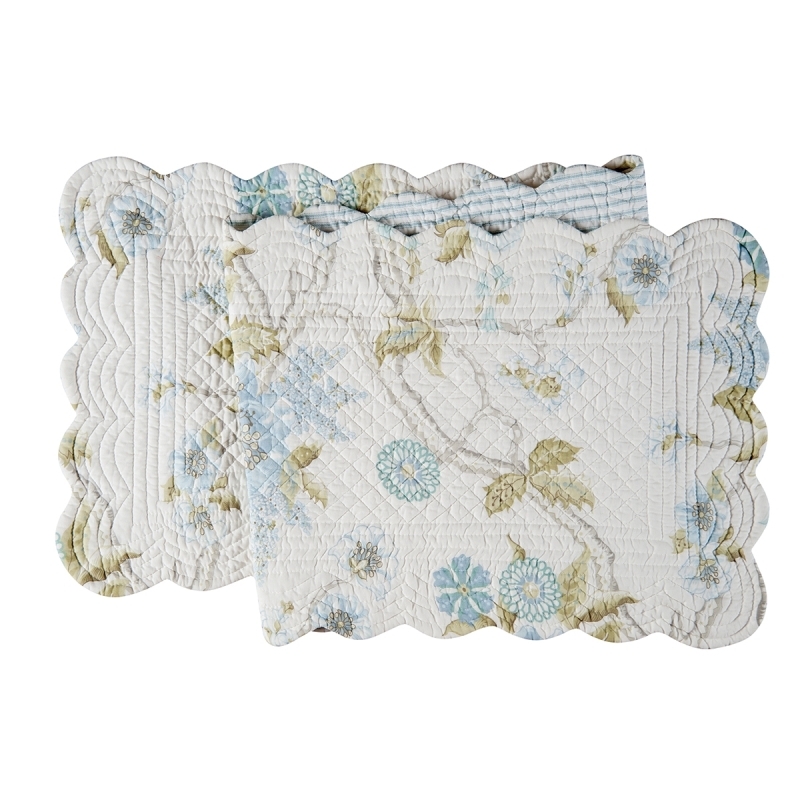 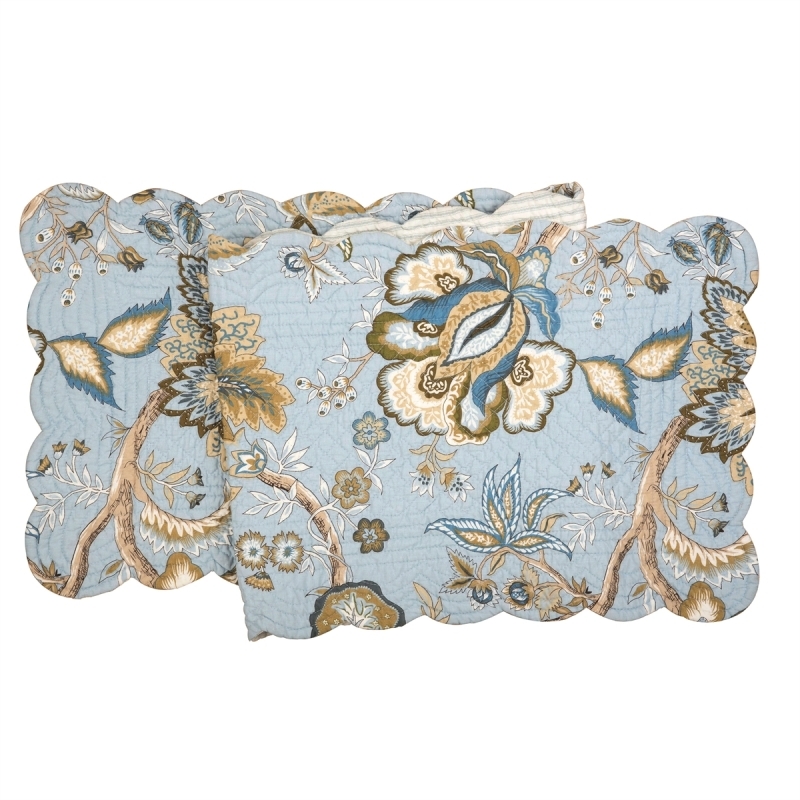 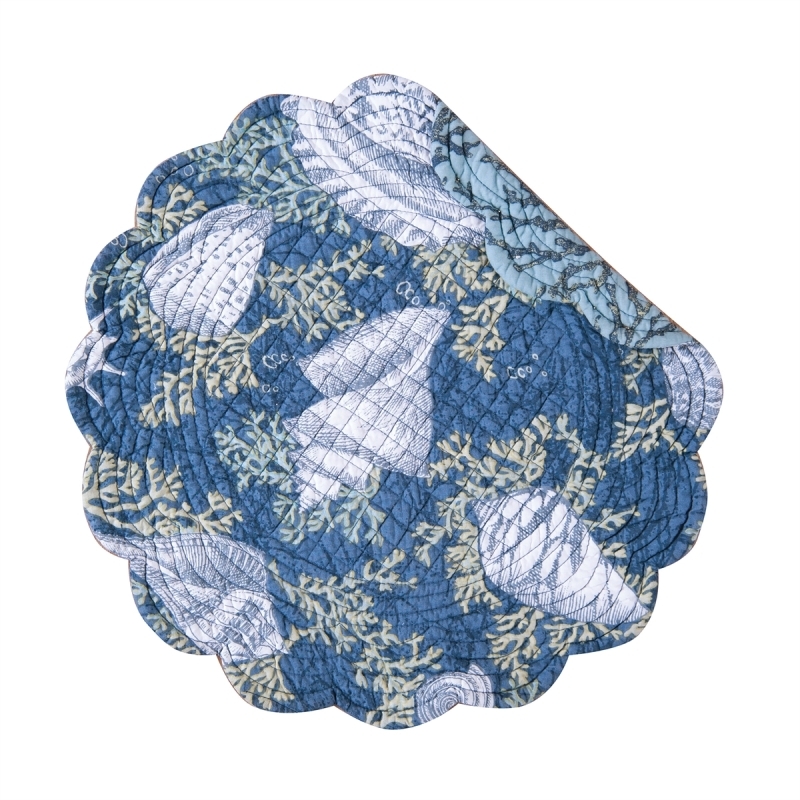 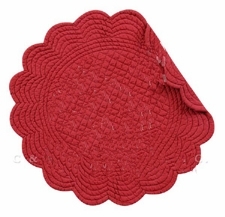 One of our most popular styles is our quilted reversible placemat. These fabric-quilted mats feature complementary colors and patterns on either side that will make you feel like you’re getting two sets of placemats in one. 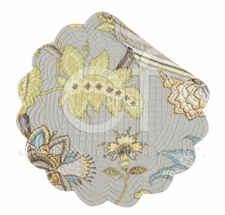 Opt for a solid-colored set of placemats to keep your decor simple or choose from one of our many prints or patterns. 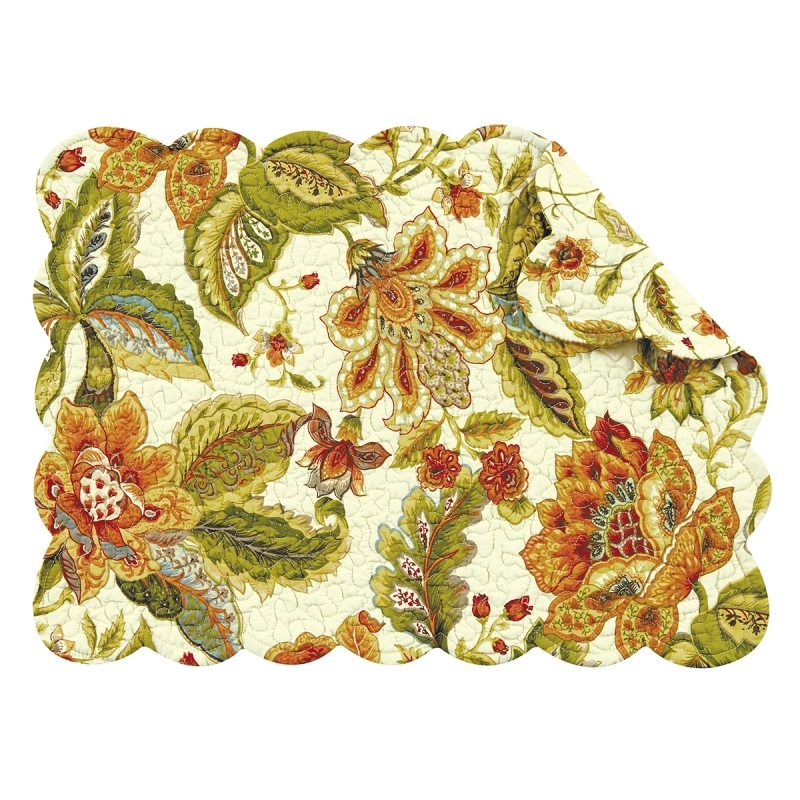 Some of these options include floral prints, nautical patterns, tropical prints, paisley and winter prints on our Christmas quilted placemats. 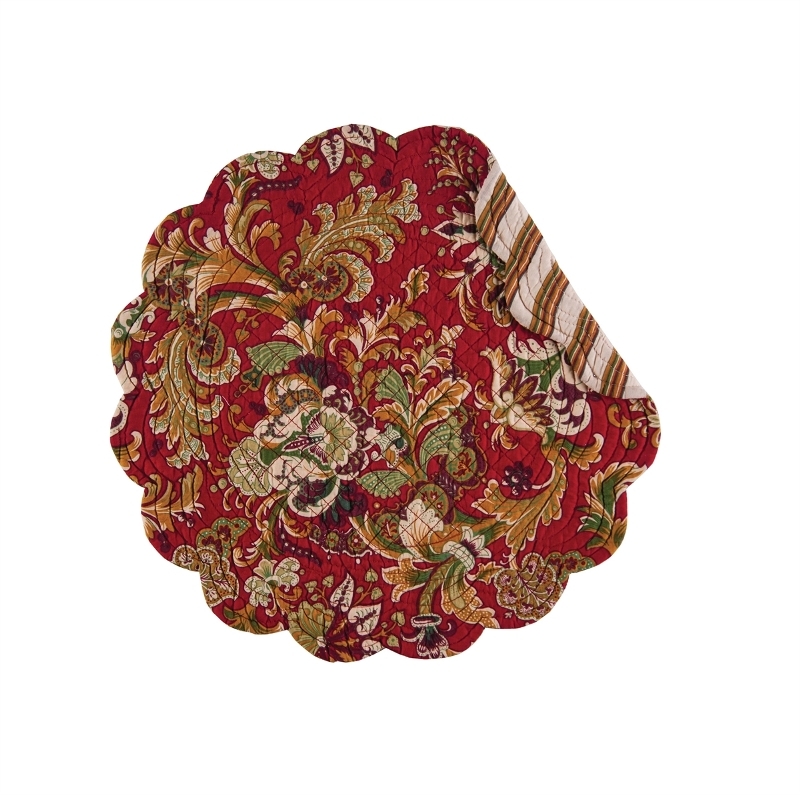 Find more Christmas decor in our holiday table linens selection. 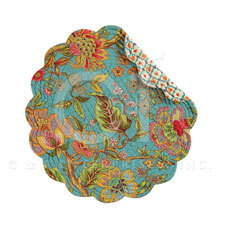 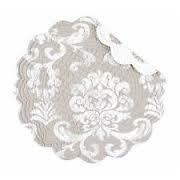 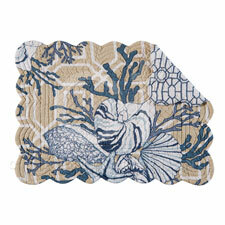 These options also come in different designs, such as round and rectangular shapes with scalloped edges. 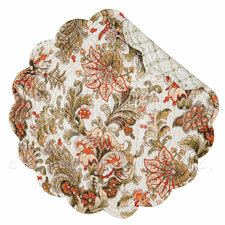 Table runners are wonderful alternatives to traditional tablecloths. 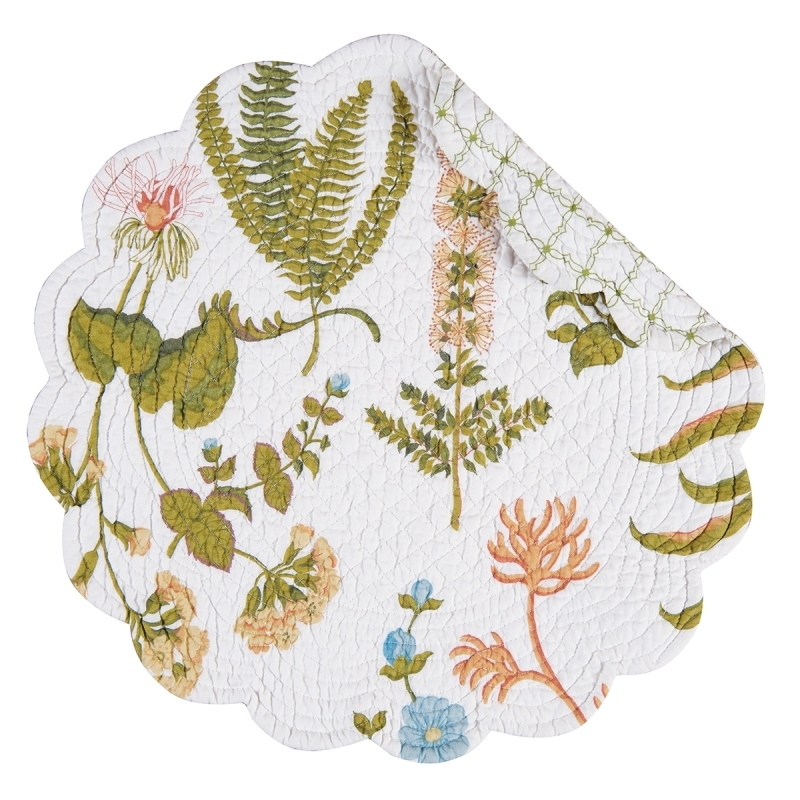 These long strips of fabric run down the center of your dining table in order to provide a bit of decorative flair without requiring constant washing. 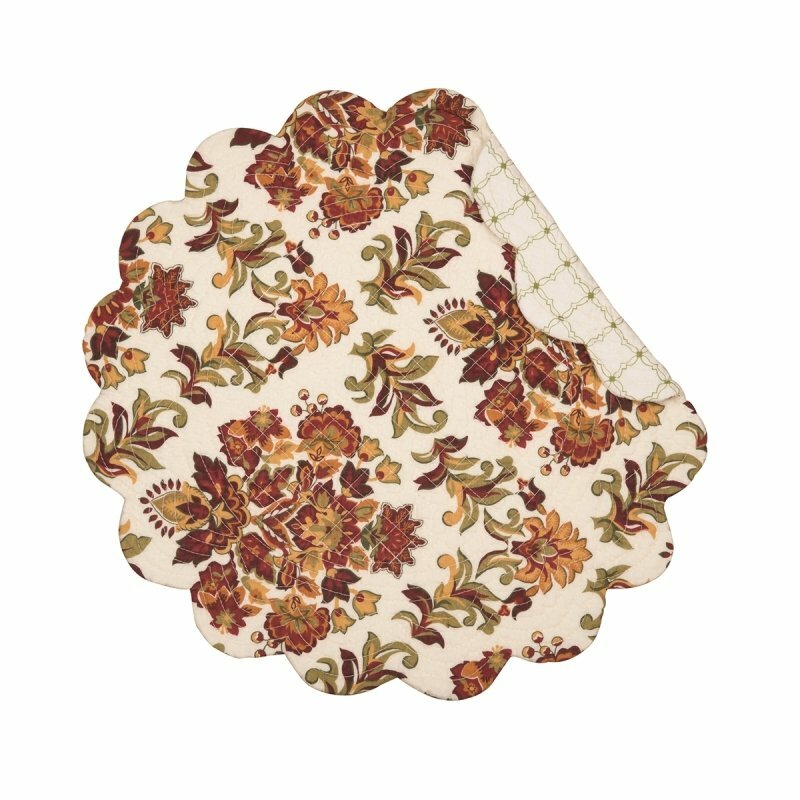 They’re also the perfect pair for our fabric placemats as they leave the table space in front of each diner empty and ready for a lovely place setting. 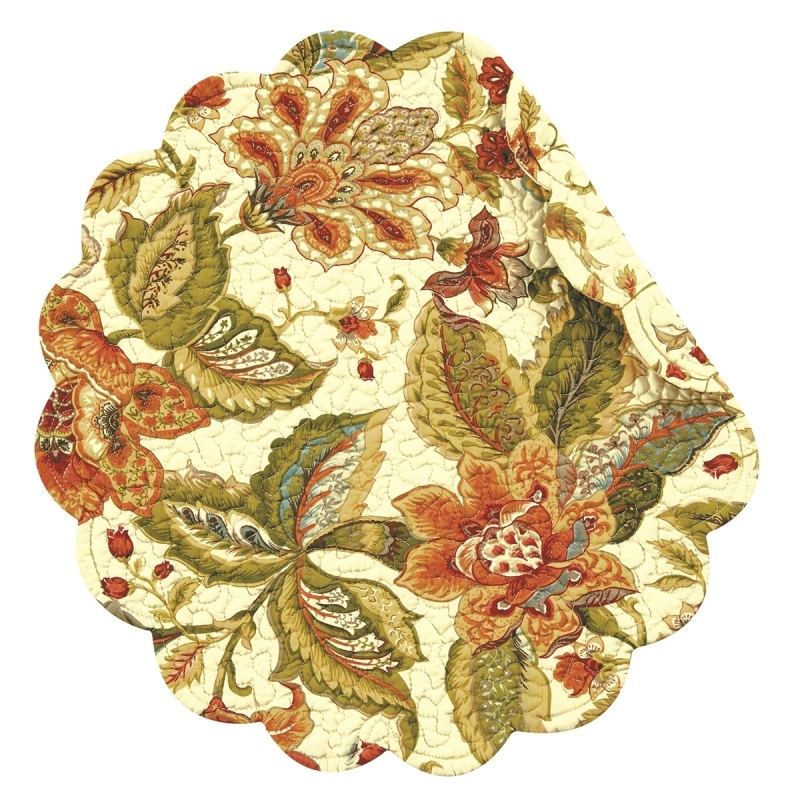 One of our most popular styles is our quilted reversible table runners. 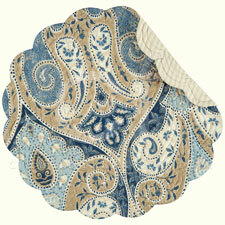 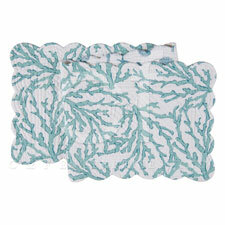 These beautiful table linens feature a similar design to our quilted placemats and can be purchased in matching sets. 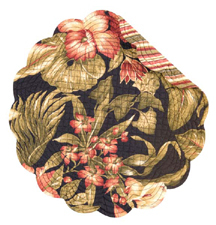 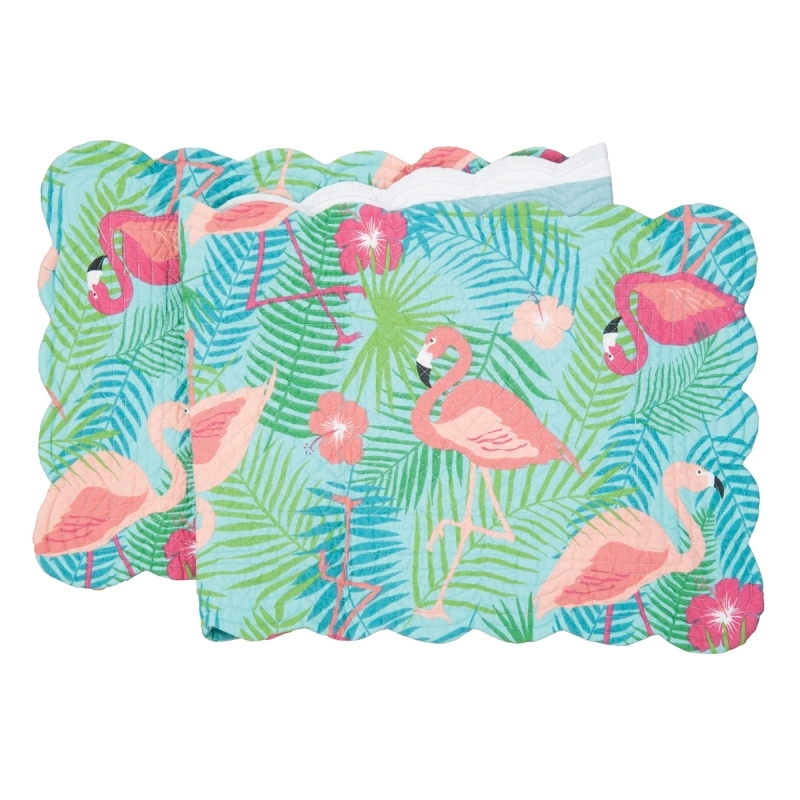 Choose from several different prints, such as autumn leaf designs, floral prints, beach prints, botanical prints, tropical patterns and holiday prints. 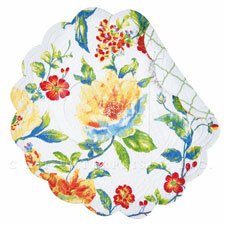 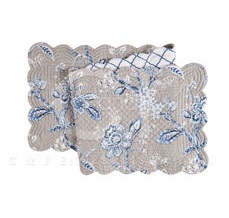 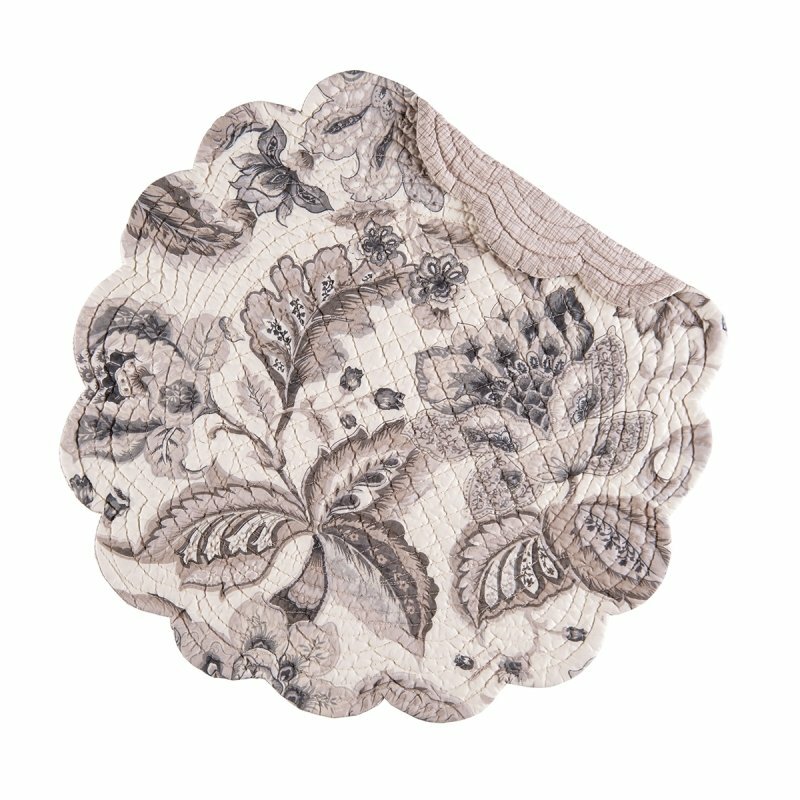 If you prefer more rural decor, we also offer country table linens and placemats.